Happy February! I am excited to remind you about this Thursday's ESIP Winter Meeting Highlights Webinar (2/7 at 12 pm ET), which promises to be a fast-paced recap of events and how to get involved. If you missed the meeting or couldn't get to all the sessions you wanted to, be sure to join in. In other news, Making Data Matter with Martha Maiden is the first in a series of interviews conducted by Arika Virapongse that will be posted on the ESIP Website over the coming year. Also appearing this week is a new blog post, Arranging the Orchestra of Data, a very insightful set of takeaways from the ESIP Winter Meeting by ESIP Community Fellow Zachary Robbins. Do you have news to share in the Monday Update? If so, send it to megancarter@esipfed.org. Join us for a fast-paced webinar to recap the 2019 ESIP Winter Meeting on Thursday February 7th at 12 pm ET/ 9 am PT. The webinar will touch on plenary and session events and share takeaways from many perspectives. It will be recorded and posted on the ESIP YouTube channel. To celebrate ESIP's 20+ year existence, Arika Virapongse interviewed ESIP community members on their perspectives on the progress of making Earth science data matter from over the last 20+ years. The interview with Martha Maiden is the first in a series of interviews that will be released over the next year. Read the full interview here. If you would like to share your perspective, let us know at staff@esipfed.org. ESIP Community Fellow and PhD student, Zachary Robbins, shares his takeaways from the 2019 ESIP Winter Meeting in this blog post. 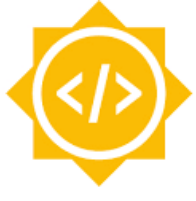 ESIP is applying to participate as a second-year mentoring organization for Google Summer of Code. As an umbrella organization (e.g. an organization of organizations), ESIP gets to provide the amazing opportunity for our members to participate in Google Summer of Code through their home institution! Click here for more information! A USGS Mendenhall postdoc opportunity entitled, “Data science and machine learning to inform energy resource assessments,” is now available. Learn more and apply by March 4, 2019 here. Contact lhsu@usgs.gov with any questions. See the full Mendenhall postdoctoral research opportunity list at https://geology.usgs.gov/postdoc/opps/research.html. ESIP Staff, along with several ESIP Lab teams, were able to take part in a previous SGCI Bootcamp and found the experience to be extremely valuable. Learn more and apply now here. The Waterhackweek Cyberseminar series, hosted jointly by CUAHSI and the University of Washington, consists of presentations relevant to a wide range of water and informatics use-cases, e.g. publishing large datasets, running numerical models, organizing collaborative research projects, and meeting journal requirements by following open data standards. See upcoming topics below and learn more here. Copyright Â© 2019 Earth Science Information Partners, All rights reserved. Â You are receiving this note because you are subscribed to one of the ESIP list-servs.